The Power of Colored Garden Planters! Try this experiment. 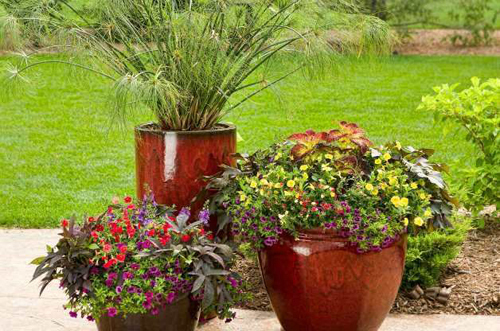 Visit a local garden center where there is a large selection of colored garden planters. Do the blue shades calm you down? Are you warmed and energized by reds? Do you gravitate toward greens? How about the natural appeal of terracotta pottery? We are incredibly sensitive to color. In face, the human eye can detect seven million unique variations. We are also very sensitive to the mood and feelings that colors can create. Psychologist Ayben Ertem, who researches the effects of color on human behavior, says pink tones tend to be soothing and relaxing. To encourage deeper conversations, she suggest using orange pots around a patio to encourage people to talk and share. Want to experience a relaxing feel when laying around the pool? Use lavender or purple since they have a relaxing effect. When it comes to planning out a color scheme it is best to stick with neutrals. 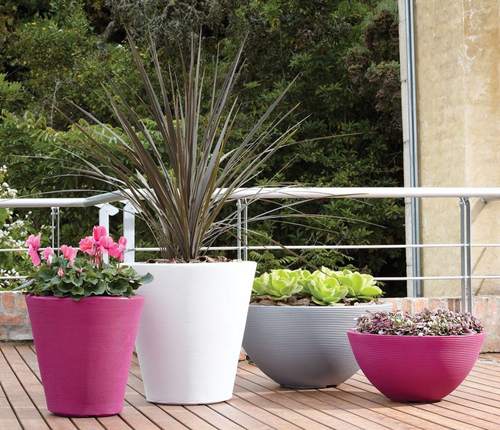 White, Black or Terracotta planters. These go with all plant materials and decorating details like patio chairs and cushions. 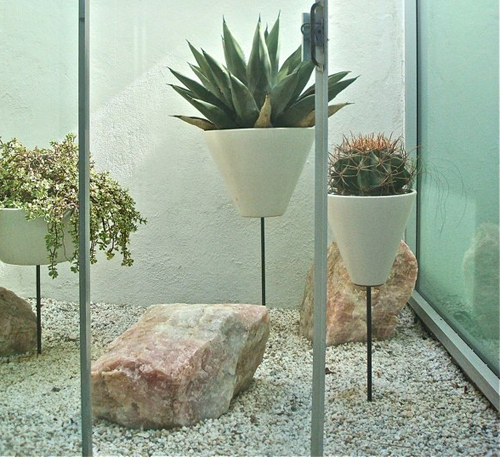 When you want the star to be the plants and not the pots these are great choices. Of course, your best bet may be to forget about the color "rules" and simply surround yourself with shades and hues you enjoy most.